A couple of recent articles by Health Intelligence highlight the growing popularity of integrating the use of mobile communications and remote visits among parents. It makes sense that these technologies are a hit with busy moms and dads who want to get the best healthcare possible for their children, but who are also very busy trying to balance parenting and work. It is easy to remember to schedule a doctor’s visit when your child is coughing up a storm or has a fever, but the schedule for recommended well-child visits varies based on the age of the child. It can be easy for these important screenings to fall through the cracks, leading to missed vaccinations and undiagnosed developmental conditions. Last year, the Park Nicollet Health System, based in Minneapolis, decided to do something about it. They set up a system for reminding parents with children up to the age of three about well-child visits via text. Since the program began in January of 2016, more than 70% of the parents contacted this way have scheduled visits. This simple, but effective approach helps parents manage their children’s care while at the same time providing benefits for the community. It is also great for practices in terms of boosting revenue, loyalty, and engagement. The recently released Nemours Children’s Health System survey finds that while only 15 percent of parents have already used a digital health platform, 64 percent are interested in using one for their children. Remarkably, almost three-quarters of them rate a virtual visit as preferable to an in-person visit. The survey also reveals that, while still low, the number of parents using telemedicine has more than doubled since 2014. In that same time, awareness has jumped by 88 percent. This new data supports a similar study completed last year by Blue Cross Blue Shield of Georgia. It found that more than 80 percent of mothers want to learn more about how telemedicine might be used to replace in-person visits for non-emergency care. • Eighty-two percent (82%) of moms surveyed say they are the most “health tech-savvy” in their family. • Sixty-four percent (64%) of moms surveyed say that having access to healthcare on-demand is more important than having streaming video or food delivery. • Sixty-four percent (64%) of women surveyed said they find it challenging to take their kids to the doctor during office hours during the school year. 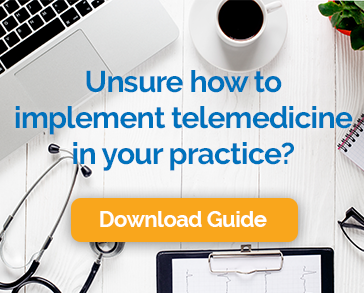 • Seventy-nine percent (79%) of moms surveyed say they’re interested in trying or learning more about telemedicine to help themselves and/or their family when faced with a non-emergency medical issue. • Over half of moms surveyed (54%) said online video visits with a doctor would make them more confident that they can attend to their family’s health or would be like having a health security blanket. • In addition, health technology tools are giving moms hope for the future with sixty-one percent (61%) of those surveyed agreeing that health technology innovations will lead to better overall health for their children. Parenting is a difficult challenge under the best of circumstances, but when a child is ill or has a chronic health condition, parents need all the support they can get. Telehealth technologies are increasingly being used to prevent and resolve health problems in children and that’s great news for everyone.